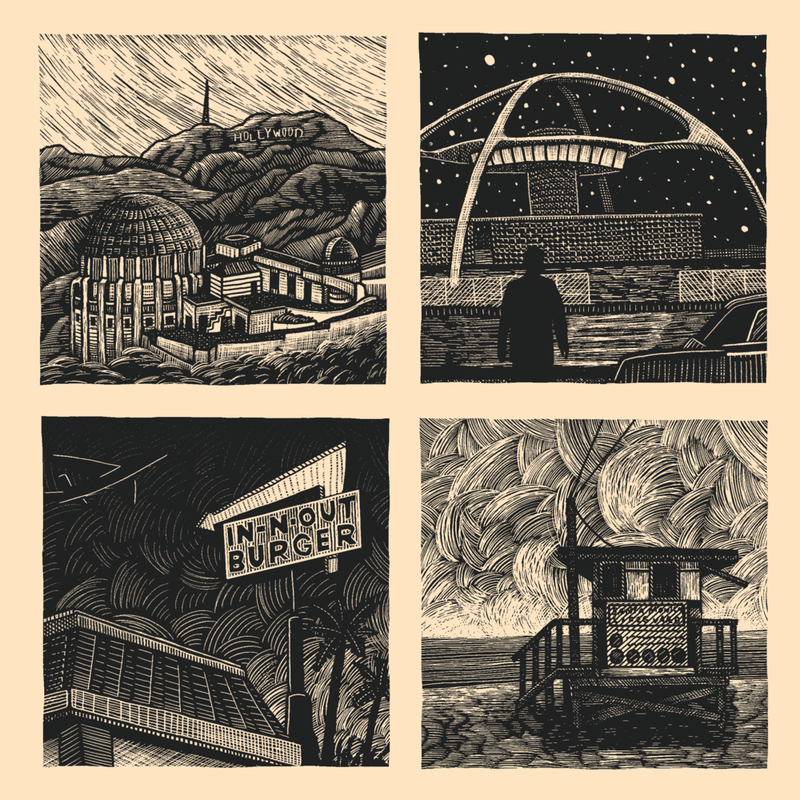 A collection of four 5x5 original clayboard illustrations, based off some favorite spots in one of my favorite cities in the world. Created for Gallery 1988’s Los Angeles themed show, in winter of 2019. These OG’s may or may not be available through their site.